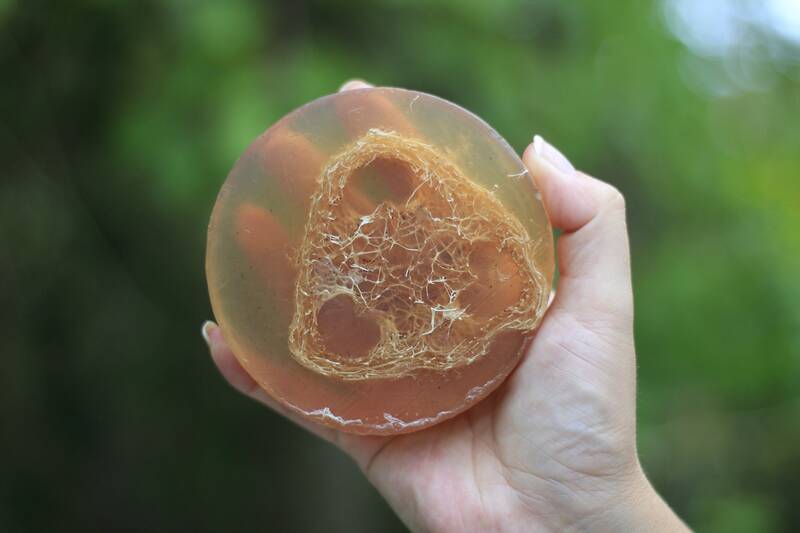 Honey, Aloe & Cinnamon Soap with a natural loofah sponge inside. Exfoliate and hydrate skin in one simple step. 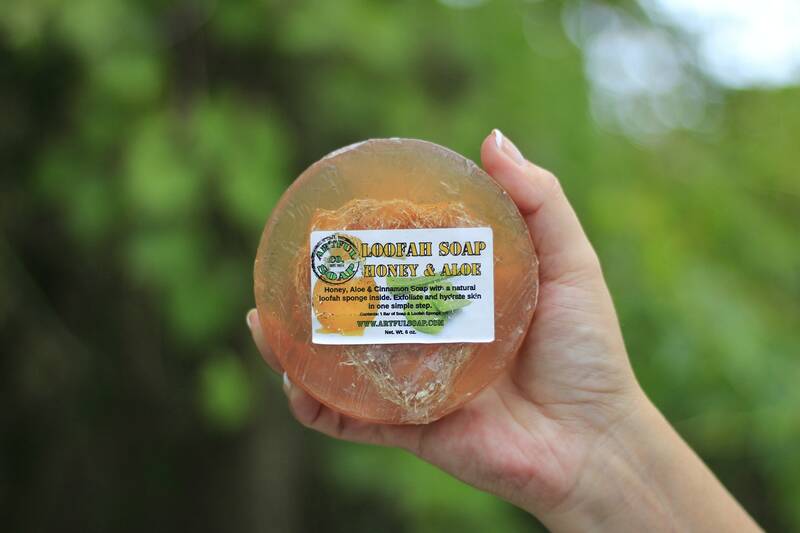 Get your scrub on with a natural loofah that will last long after the soap is gone! 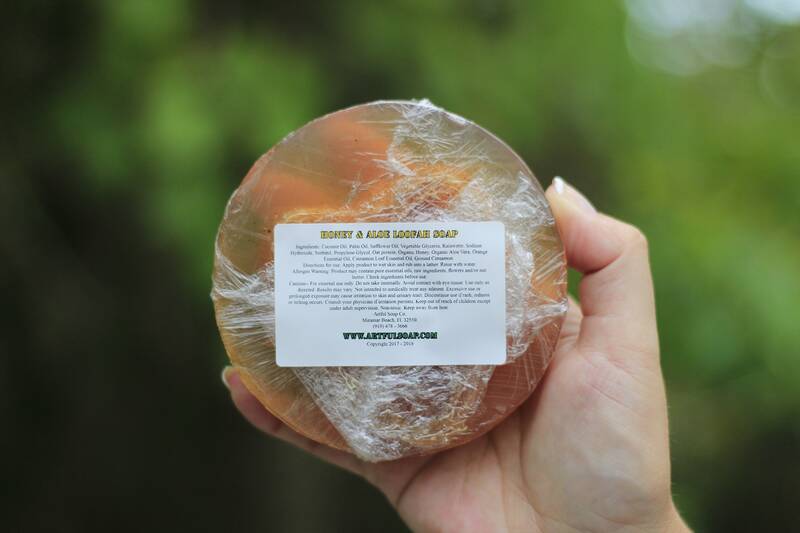 Makes a great soap dish for our other bar soaps after the soap is used up and the loofah is sad and lonely. Honey should be used as part of a dry skin regimen because its composition is described as s humectant. A humectant is an item or substance that attracts moisture and keeps in locked inside. People with oily skin can benefit from honey as well. Honey can help your skin retain moisture and elasticity without drying it out, as some conventional facial washes may do.